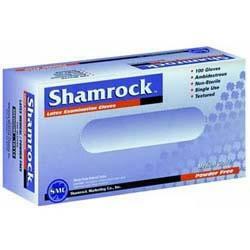 Premium Shannon glove comes in powder-free vinyl, developed specifically for industrial and institutional use. The non-latex formula makes this glove ideal for those who may be allergic to latex. Manufactured to meet exacting user specifications, these soft vinyl gloves are comfortable and have beaded, tear-resistant cuffs for added performance.